The Black Death struck Europe in 1347, killing 30-50% of the European population in six violent years. It wasn’t a one-off epidemic: it signalled the start of the second plague pandemic in Europe that lasted for hundreds of years and only slowly disappeared from the continent after the Great Plague of London in 1665-1666. These outbreaks were traditionally thought to be caused by rodent reservoirs of infected rats lurking in Europe’s cities, or potentially by rodent reservoirs in the wilderness. But our research, published in the journal PNAS, suggests otherwise. If the “reservoir” thesis were correct, we would expect plague outbreaks to be associated with local climate fluctuations, through changes in agricultural yields and primary productions in forests, affecting the number of urban and wildlife rodents, resulting in more plague. We found that Europe’s plague outbreaks were indeed associated with climate fluctuations – but in Asia. Body collecting in London, 1665. The Black Death came to Europe from Asia. Historical records tentatively map it back to outbreaks in 1345 in Astrakhan and Sarai, two trade centres located on the Volga river near the Caspian Sea. Where the Black Death came from before it hit those cities is not known, but by recovering fragments of DNA from the teeth of plague victims in Europe, the closest currently known living relatives of this medieval strain of the plague causing bacteria Yersinia pestis are circulating in marmots and long-tailed ground squirrels in north-west China. 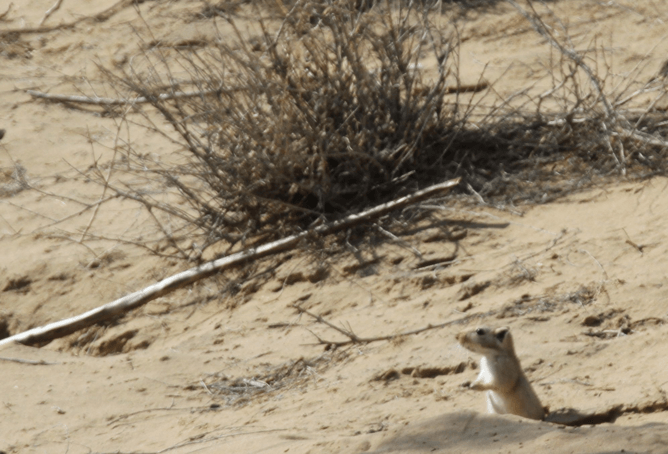 The great gerbil also still harbours the plague bacteria in Central Asia today. 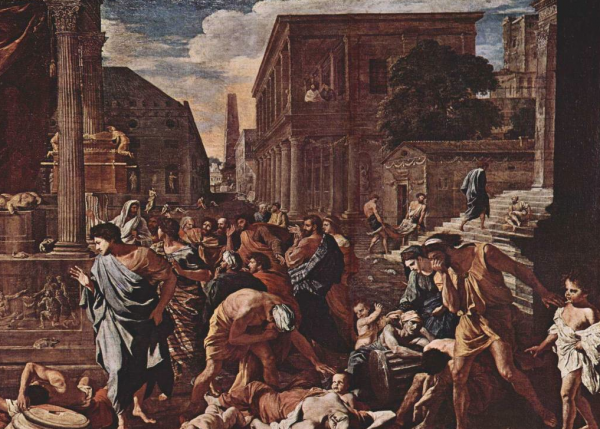 Some dominant narratives on the plague are poorly substantiated. One being that medieval plague was transmitted by black or brown rats and their infected fleas jumping to humans. 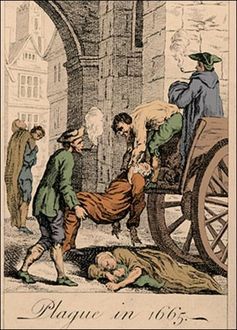 This was indeed how the third plague pandemic in the 19th and 20th centuries was transmitted – but there is poor archaeological evidence there were many rats across much of northern Europe in the Middle Ages aside from small populations of black rats in harbour towns, and no historic records that rats played a role in the disease. “Rodent reservoirs” represent another dominant narrative. The idea is that the disease was introduced in medieval Europe once (the Black Death epidemic) after which it settled into local rats or wildlife rodents, and continued to cause outbreaks in European cities for hundreds of years. How Asian climate fluctuations led to plague outbreaks in Europe. This is the narrative we aimed to substantiate through evidence, but which we ended up challenging. Using tree-ring based climate records from Europe and Asia, we showed that plague reintroductions into European harbours were associated with periods of wet conditions, followed by a drought, across large parts of Central Asia. These conditions were tough for rodents in the region, traditionally the hosts of the plague virus, and their numbers would plummet. Infected fleas would seek new hosts, often latching onto passing human traders or their camels, though we don’t yet know exactly how the plague made the journey westward. What we do know is that, 14-16 years after the rodent-killing drought, we would often find plague reintroduced into Europe. The chart below shows these climate fluctuations in Central Asia preceded the Black Death in 1347, the Italian plague of 1629, and the Great Plague of Marseille a century later, but notably not the London plague of 1665 or the outbreak in Vienna the following decade. Plague outbreaks during the second pandemic, mapped to climate events in Asia. This followed a pattern that we associate with current-day plague outbreaks. What is the implication of such a finding? In terms of our understanding of the past plague pandemics, it provides a different perspective as to how the disease moved across Eurasia, driven by climate events that were and still are frequently occurring. It implies that there might never have been permanent reservoirs of plague among European rodents. While alpine marmots might have been affected and transmitted plague in medieval Europe, we found no indications that they can form a long-term reservoir, as their cousins in Asia do. Furthermore, the observation that plague disappeared from the European mainland, while outbreaks in the Middle East and northern Africa continued to follow upon climate events in Central Asia strongly suggests that the reason why plague disappeared from Europe should be phrased not in terms of why its reservoirs disappeared, but why the disease could no longer spread efficiently across the continent. It gives historians, epidemiologists and biologists new questions to ask in their quest to reconstruct what exactly happened during one of the most devastating pandemics in human history.